Postal area boundaries, created by the ABS for the purpose of publishing 2011 Census statistics, are becoming dated. No updates have been announced as yet so, the question is, should you still be using this dataset? whether there is a material difference between the 2011 representation of postcodes and their more up-to-date version in the area of your interest. Despite the fact that ‘Postal Areas’ data is more than five years old, it is still the only option to use with Census 2011 statistics. It will be more than a year before any data from the upcoming Census 2016 is made available. So, the 2011 version of ‘Postal Areas’ will continue to be relevant for a while yet. 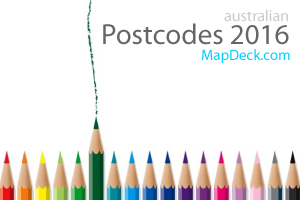 However, if you are working with other data, such as ATO statistics or recent survey data that reference respondent postcodes, then the more up to date representation of postcodes is the recommended option - choose ‘Postcode Boundaries, 2016’ edition then. Both datasets are available for free perusal with MapDeck apps and the 2016 version can be downloaded in .shp format for a small fee. The difference between these two versions of postcode boundaries datasets can be quite dramatic in rural areas (as the above example demonstrates) but it is generally less pronounced in long-established metropolitan areas. You can compare how both boundaries match in specific locations using a free version of the Thematic Mapper app (available to registered MapDeck users). 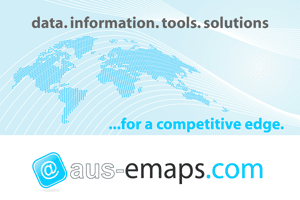 Contact aus-emaps.com for an invite code to sign up for the MapDeck platform.